Question: what do you do when your child screams profanity at you in public? Or picks up a garden tool and threatens to impale you or one of their siblings? What do you do when your child’s explosive behavior, due to reactive attachment disorder or ARND (Alcohol Related Neurological Disorder), embarrasses you in front of their teacher? Or, better yet, what do you do when your child’s impulsive choices are so continuous that you feel completely exhausted and utterly alone? The answer is, nothing! You do nothing. Absolutely, positively….nothing! Let’s be honest- who are you going to talk to about these things? Who in this world is going to look at you with understanding and empathy and not judgement? Who is going to understand that your son, whom you adopted through foster care, has extreme outbursts of rage brought on by trauma that he suffered when he was in his birth mother’s womb? Who’s going to get the impulsive choices your child makes because she has ADHD (Attention Deficit Hyper-Activity Disorder)? Where in the world are you going to find a person who truly understands that your child is on the autism spectrum, or even what that means? And finally, where can you find a person who understands what you’re going through because they’re dealing with the same struggles with their children? We know what it’s like to feel completely alone. We know the desperation of having no one to talk to, or a person who understands what our children are going through. We know the look and feel of judgement! We are the parents of 8 children. Some of our children have special needs. We have dealt with severe behavioral situations, in public and in our home. We’ve been on the front lines of impulsive choices. We cannot even begin to count the items that have been broken in our house over the years. We understand the loneliness you feel. We’ve been there too. But, we’ve carried on by one simple, yet profound, thing- a great support system! 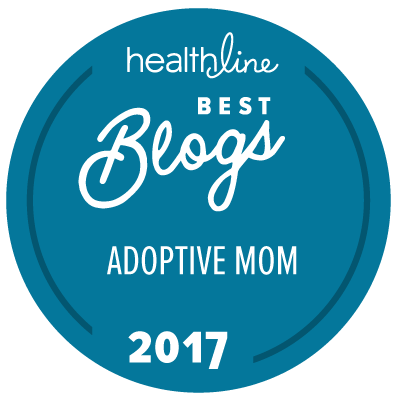 Through our involvement in support groups and our current support system, comprised of several adoptive families, we’ve survived the toughest seasons of parenting. A sounding board to air our struggles. A voice of reason to change our perspective. The Hope and courage we need to face the next challenge. We all need a sounding board, especially when it comes to parenting. A good sounding board is a listening, non-judgemental, safe person that you can be real and raw with about your struggles. As you raise your children, regardless of the different challenges you face with them, a good sounding board is key. A sounding board also serves as a voice of reason when you’re being unreasonable. Our support system (who are also our best friends), have been able to talk us down from some huge “parenting ledges” just by letting us vent, and then gently painting a more accurate picture. Just ask my wife, Kristin, about this one. Our friends travel the same parenting road as us so most of their “reasoning” comes through genuine empathy. Finally (and most important), we find hope to face the next big challenge we’re sure to face. Through the parenting years, hope is sometimes extremely hard to find. Authentic– you cannot find support from fake people or people with hidden agendas! Circumstantially empathetic– people who understand what you’re going through because they’re facing similar circumstances. Loyal– those you are confident will be there for you when you need them the most! A parent– this helps with the ‘understanding’ bit. Light-hearted– you need friends who can laugh with you and at you sometimes. Trustworthy– no one can find support from people who can’t be trusted to keep their details private and not blab it to the world! Question: Do you have a great support system? What are some other ways they have supported you? You can leave a comment by clicking here. This post was written with much gratitude for John and Nicole Goerges, Ryan and Megan McGee, Jen Dickerson, Sherri Moore, Cindy Kramer, Margaret Madden, Brittany Turner and our beloved families who have been there for us through the greatest parenting struggles. Thank you for being awesome!